Thank you for submitting your B Impact Assessment for review. By doing so, you are one step closer to becoming a certified B Corporation. 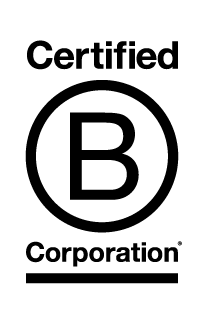 Before you proceed, please make sure you understand the performance, legal and transparency requirements and annual costs of becoming a certified B Corporation. As of 1 September 2018, companies in Australia & New Zealand are required to pay a $500 certification application fee before commencing the Certification Review, due to the significant amount of time that B Lab invests up-front in reviewing companies. If you complete and achieve certification within 12 months, this non-refundable application fee will be applied towards your first year certification fee. If companies do not completed certification within 12 months, this application fee is forfeited and another $500 fee will apply in order for Certification Review process to continue. Please read all details, terms and conditions on the next page. Schedule your review call as soon as possible. Due to an increase in certification volumes, review calls may not be available for 2-3 months. Because supporting documents must be uploaded 48-hours prior to your scheduled review call, we ask you to allocated time and resources to prepare and upload documents. Commit to attending your scheduled review call. Re-scheduling your call will cause delays. We are available to answer any questions that you have during the certification review process. And more importantly, we look forward to welcoming you to the B Corp Community! I have read accept the terms of this agreement.